My work is wheel thrown, altered, hand built and then assembled. I alter the movement of the throwing lines and textures inside and outside the piece. 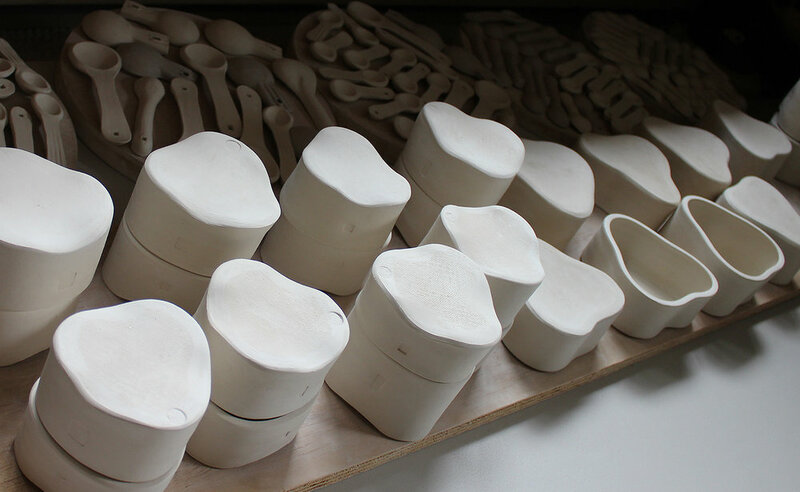 I use a variety of high fire clay bodies for my work. The functional works are lead free, food safe, dishwasher and microwave safe. 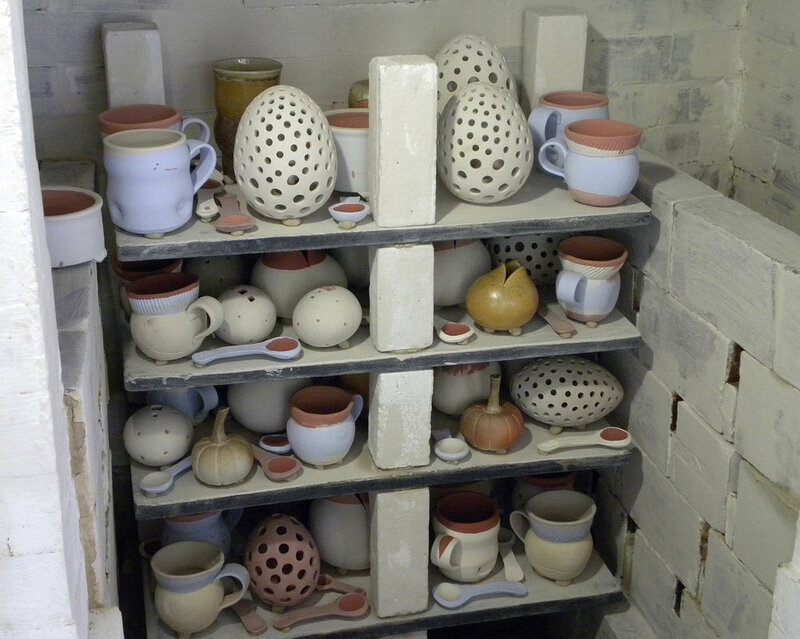 A variety of slips or glazes are applied to the exterior and the interior is glazed. They are then salt/wood-fired to 1305ºC / 2381ºF for 19-25 hours. 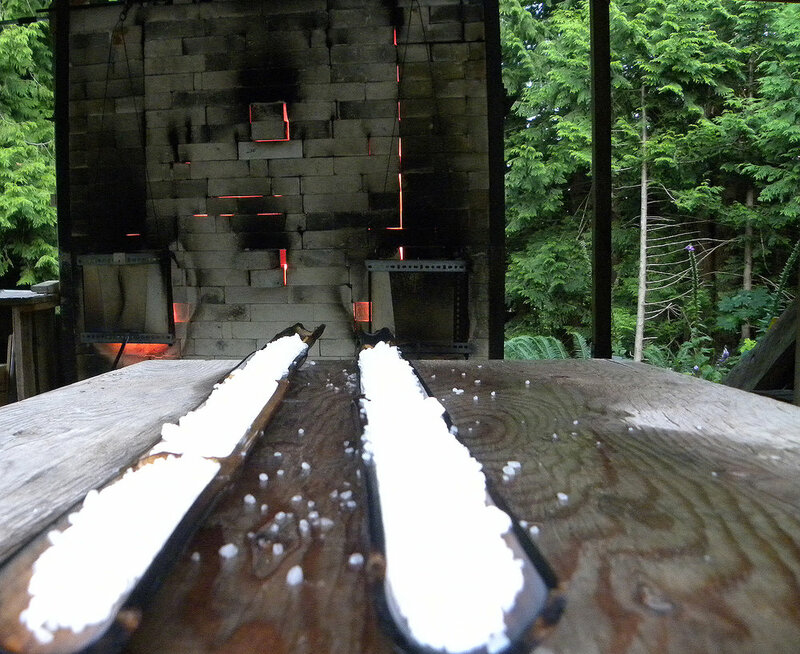 The kiln is fueled by wood and the salt is introduced into the kiln when it reaches 1305ºC / 2381ºF. 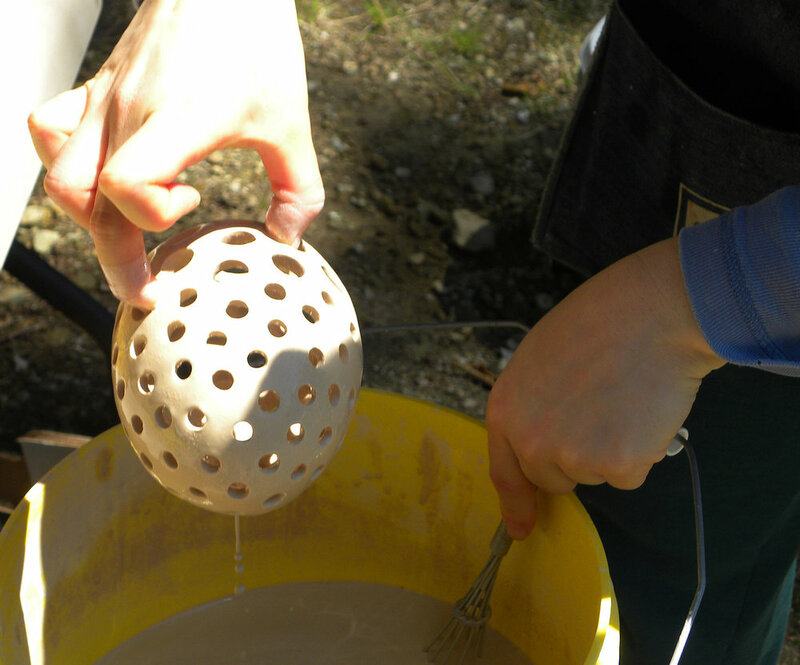 The salt reacts with the silica and alumina in the clay to form a glaze and an orange peel effect. I am involved in every aspect of creating my work from start to finish. 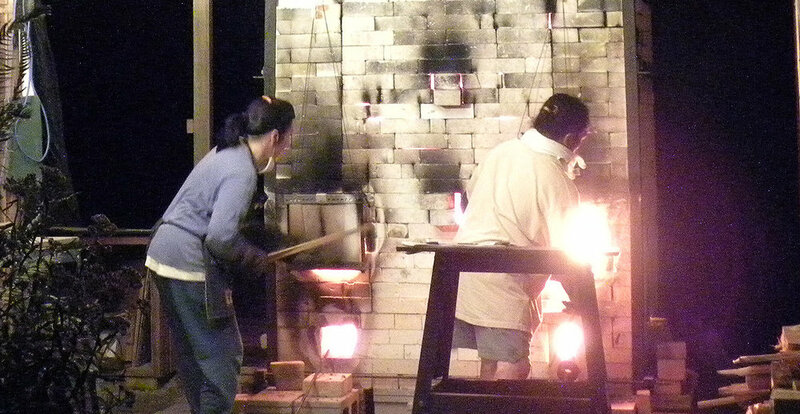 My husband assists by chopping wood and stoking the kiln.